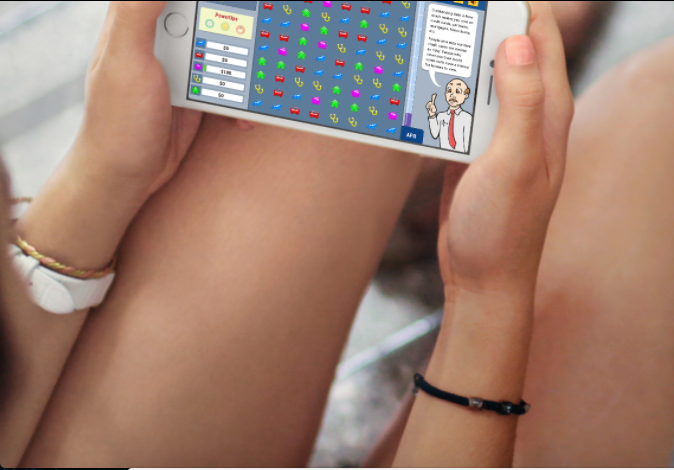 Financial literacy education technology games. I wanted to leverage technology to scale poverty reduction. In 2009, during my senior year at Hampton University, I walked into the library as I did every day, and a group of strangers were waiting for me. “There’s the girl,” they shouted and rushed over. “We want you to lead us in our Goldman Sachs Case Competition.” Confused, I replied, “I don’t know anything about the stock market and I’ve never done a case competition.” “We are confident you can lead us” they said with high hopes. “Okaaay,” I reluctantly agreed as they guided me to my first view of the stock market ticker at the nearby computers. Fortunately, I interned at FINRA that summer with Jared, a market analyst. In one call he taught me how to “buy high/sell low.” I then conducted a 25-year regression analysis of GS’ 2 page list, developing a concrete algorithm for crisis reactions. Our team won with 2%+ with the market at -2%. I then asked myself — how would anyone figure this out? It then occurred to me that there needs to be some type of game where people can live out their financial life without the risk of losing their money. Run this company how you want to, girl. Being able to build a ladder to help other entrepreneurs climb and helping to bring shape to the financial lives of underserved communities. Financial inclusion and the behavioral economics. Run this company how you want to, girl. You know what you’re doing and you’re doing it differently. Don’t worry about people, no one can advise a path they have not walked. When I’m in the printed version of Forbes and have $500,000 in the bank. That there is no trait that identifies the likelihood of a Black founder to be successful. Instead, the common denominator is our ability to overcome the obstacles that are placed in front of us.